Sending Balikbayan box to our Family back home is a very fulfillment feeling. It’s not just one month fill the box sometime it take time for us as an OFW to make it full. And sending Balikbayan is bit expensive nowadays.Thats why OFWs are really take good care from selecting items to send to their families or even friends. But is something happen to our Balikbayan boxes sometimes we don’t know! 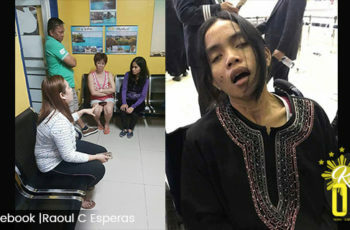 This is what happens to Ailyne Gumabon an OFW from Hong Kong who posted on Facebook how her experience. 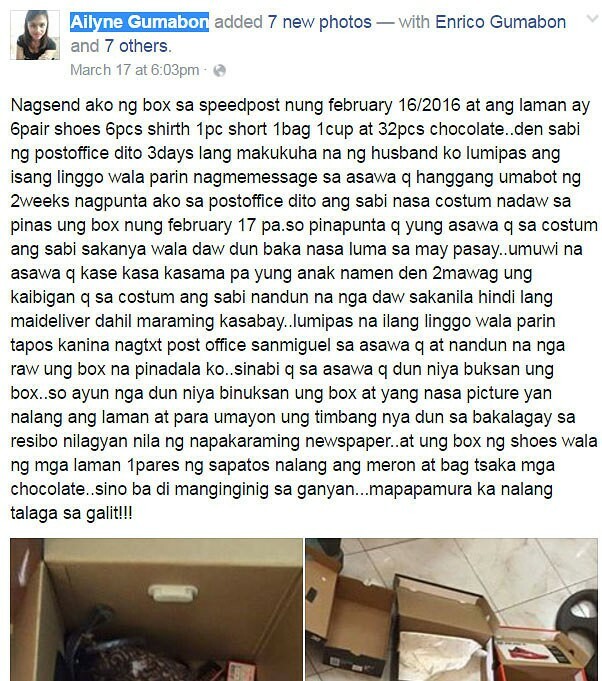 She sent her balikbayan box through Speedpost Multipack from Hongkong Post on Feb. 16. 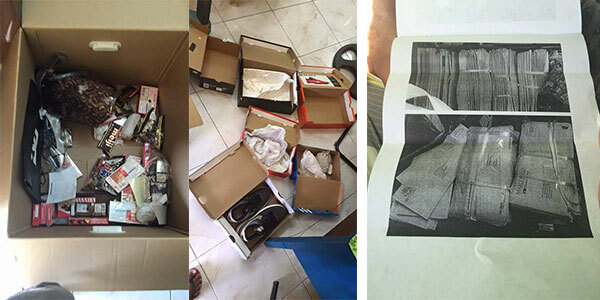 Gumahon claimed that the box contained six pairs of shoes, six pieces of shirts, a short, one bag, a cup and 32 pieces of chocolate to her family in San Miguel, Bulacan. Gumahon paid more expensive Speedpost Multipack option, Expecting she’ll have the box arrive at its destination in just three days. But, after two weeks, her package still failed to arrive. 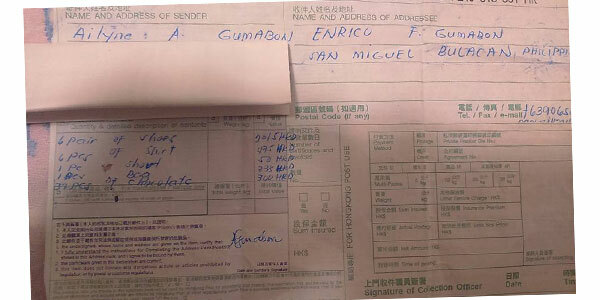 When she used the tracking facility of Hongkong Post, Gumabon found out that the box had already arrived in the Philippines and was at the Bureau of Customs since Feb. 17. 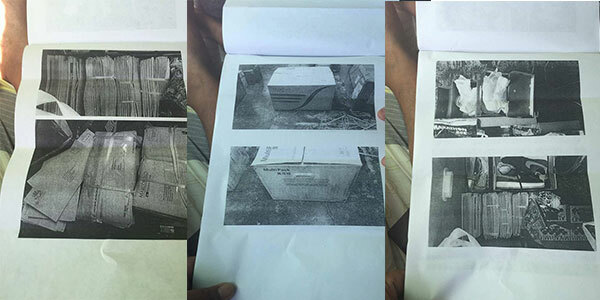 A week later, Gumahon family received a text message that the balikbayan box had arrived at the post office. She feels that there’s something wrong on that delayed that’s why she suggest to her husband to open the box right at the post office. Gumahon family was shocked on what they found inside the boxes although it is heavy but the items are gone and it was replaced by bundles of newspapers. There’s no update yet from Speedpost Multipack from Hongkong and Bureau of Customs Philippines for the said issue. 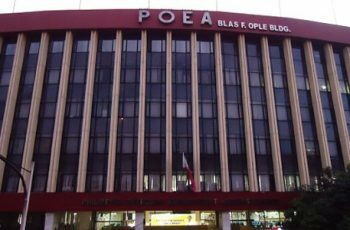 No wonder ubos ang laman ng box mo, kase sa speedpost ka nag send ng padala mo, mga patay gutom ang mga nadiyan sa post office, ang dami ng news about sa kanila, why sa speedpost ka pa nagpadala? Nasa HK ka impossible na hindi mo alam ang mga nangyayari sa Pinas pagdating sa mga padala. 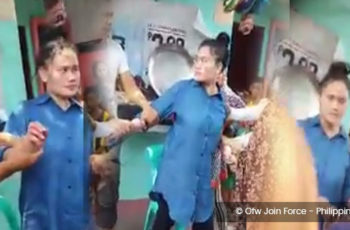 Magkano ang ibinayad mo sa speedpost? Sigurado ako kulang kulang 1k HK$, why not use GENEX CARGO? E sigurado ako baka pumasok lang yan sa Bulilit box or medium box. Mas mura pa ang bayad mo sigurado ka pa na safe ang box mo. 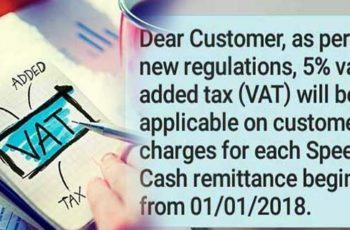 Tested ko na ang GENEX over a decade na akong costumer nila 3x a year ako nagpapadala sa kanila.